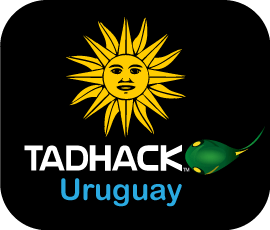 TADHack mini Uruguay will take place on the 10th and 11th May (Tuesday and Wednesday) at the Universidad ORT Uruguay (Campus Centro) in the vibrant city of Montevideo. We are grateful for Universidad ORT Uruguay’s cooperation in making this event possible. Across the universities and local developer scene, we expect over 100 developers. The event will run in Spanish, with some English translation, and pitches can be Spanish or English. We’re excited about unleashing the creativity and engineering excellence of Uruguay through telecom application development. Thank you – to everyone who took part in TADHack-mini Uruguay for making it a great success! A big thank you to sponsors Telestax and Universidad ORT Uruguay for making the event possible, and to partner Locatrix for your support. Even though our hackathon was run over 2 weekdays, developers (and remote entries from Poland and Mexico) took the time to come and create some interesting hacks: a football field SMS reservation system by 17-year old Juan Chomali (a big hit with the audience), a polling app, a small business promotion/reservation system, anonymous calling, remote billing system backup, home automation, and a mobile intercom system for your home. One of TADHack’s objectives is to constantly build the community of telecom application developers from around the world. TADHack Uruguay, our second hackathon in South America, proved that world-class innovation happens anywhere around the world. TeleStax provides Open Source Communications Software and Services. TeleStax provides RestComm, a next generation Cloud Communications Platform to rapidly build Voice, Video, and Messaging Applications, using your existing Web and Mobile Development Skills.